Thank you to all volunteers and supporters of the rink. 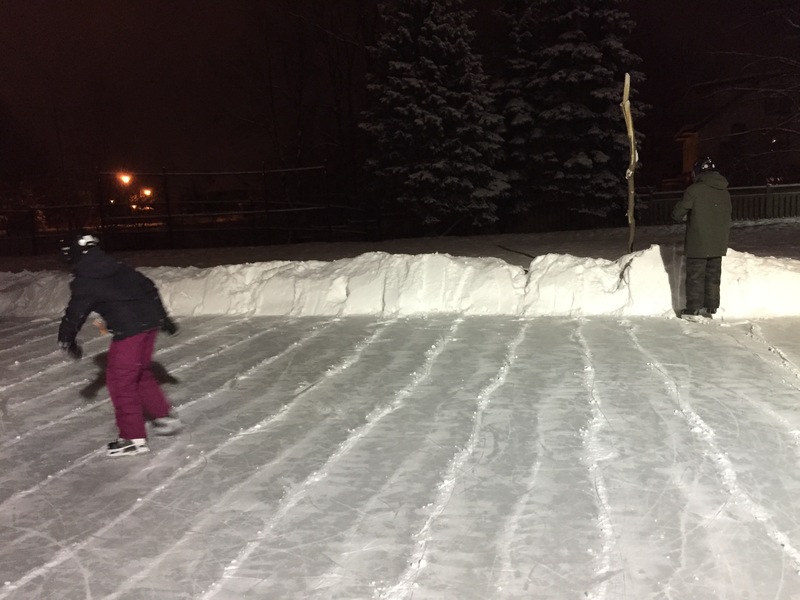 It really is a team effort and we appreciate the shovelers and flooders who have made the ice a central attraction for the neighbourhood. The extreme cold that has given the ice it’s solid footing has also seeped down into the earth and frozen our pipes solid. The nature of the system is that it will probably stay frozen for a while now, probably outlasting the rink itself. I don’t think we are going to be able to flood the rink again this year. So… like most of life. Enjoy it while it lasts. We found a lost cat in our neighborhood that has been hanging around for a few weeks. I took him yesterday to animal services and they are sure he had a home. His teeth look good and he neutered. 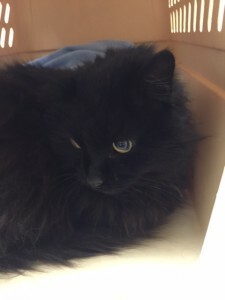 All the vet could figure out is that he is male and neutered and looks about 4-7yrs from the look of his teeth. He is all black and very fluffy and very big eyes. I would say he is on the bigger side and he was very affectionate. He also has his front claws. If anyone has any contacts in the Leaside area to share this that would be awesome. 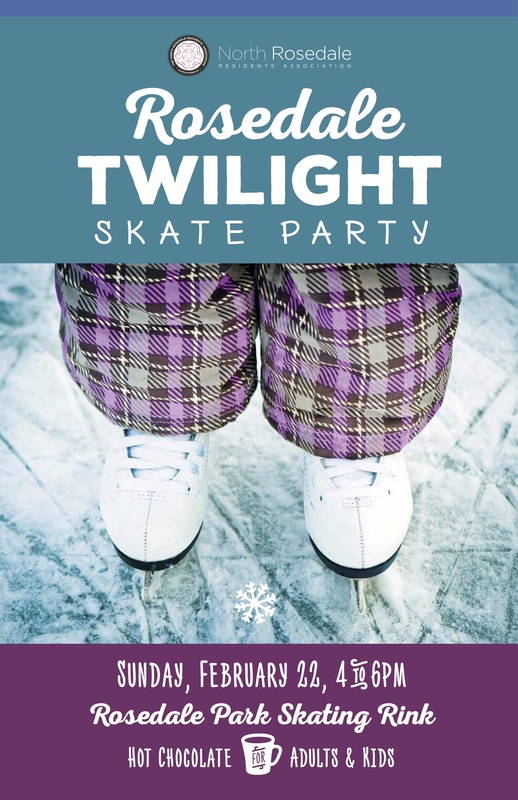 The North Rosedale Residents’ Association is pleased to extend to you and all your RA members an invitation 10 days out to join Rosedale residents at a community skating party at Rosedale Park rink . . this is the last day the rink will be open and the weather forecast looks fine.